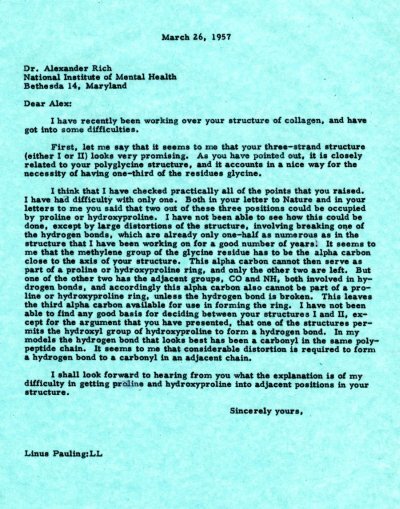 I am writing to ask you a question about Dr. Locher. I think that you mentioned in a recent letter that he was thinking of leaving Reed. There is a possibility that the California Institute of Technology would be interested in making appointment of a man as master of the student houses, probably not until a year from now, however. The man should be one who is really interested in students, and who would devote himself to the solution of various problems involved in student house life. If Dr. Locher were to be given such an appointment, he probably would have an appointment also in the Humanities Division here, and would be expected to teach German or have some other teaching duties, and also would have some opportunity for research. Do you think that he should be considered for a job of this sort? My impression is that you feel that his relations with students are unusually good, and that he is an unusually good man. Please do not say anything about this to anybody. There is considerable uncertainty about what will be done here.